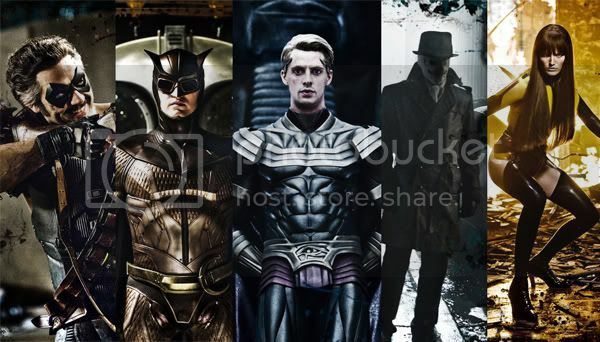 Zack Snyder revealed to all of us in the Watchmen Official Website the very first photos of the film's protagonists. Here are Jeffrey Dean Morgan as The Comedian, Patrick Wilson as Nite Owl, Matthew Goode as Ozymandias, Jackie Earle Haley as Rorschach, and Malin Akerman as Silk Spectre. Though Watchmen is still 1 year away from its official theatrical premiere, many are very excited specially comic book fans. Watchmen will be released next year, March 6, 2009.
for photos visit Watchmen official site or click here.